Blue Yield is a progressive auto finance firm located in Aliso Viejo. They offer consumers a nationwide, multi-lender network with competitive interest rates. One of their key differentiation points is that Blue Yield offers the broadest credit spectrum coverage available. Their office space needed to reflect this simplicity, transparency and the feeling of possibility for new consumers, as well as reflect their bright corporate culture. They had 13,000 square feet of open office space, the ultimate challenge–or opportunity, depending on how you want to view it–to create a vibrant office for their employees and executives. Inspired by the orange accent in Blue Yield’s primary blue logo, StrongProject designed the color scheme to feel sunny and cheerful, extending beyond “kitchen fresh” to energize the open office layout with crisp white desks, orange ergonomic office chairs, and white and orange modular workstations with modern semi-opaque privacy dividers. To avoid the monotony of traditional cubicles and to give different departmental groups their own “customized” space, StrongProject installed two different workstation designs. One of the biggest challenges with open offices is finding private space for impromptu meetings, brainstorming and co-working projects. The answer? 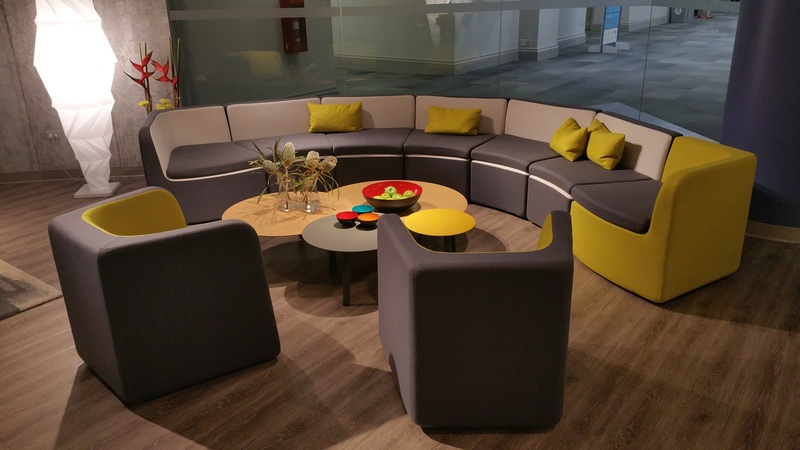 Acoustic furniture using a modular solution. StrongProject built a screened modular co-working area with rounded group seating and a work table. 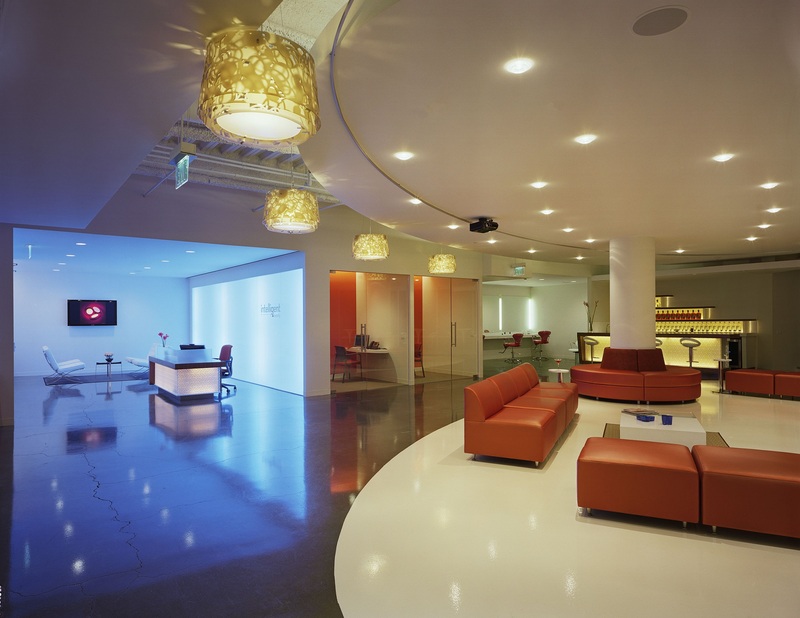 Two conference areas, one small and one large, were uniquely coordinated to convey different atmospheres. 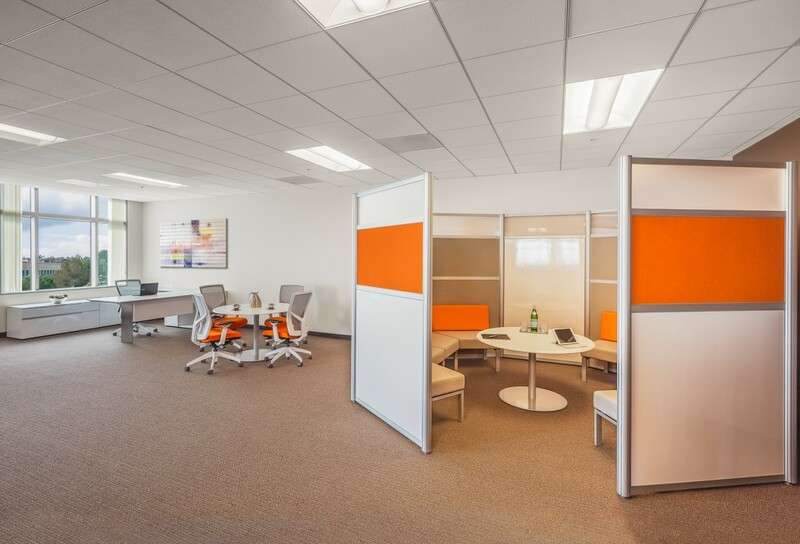 The team positioned the smaller conference room to parallel the same color palette and minimalist style , encouraging the same daily vitality and productivity vibe as the rest of the open layout. The second conference room gracefully transitioned off the main space with neutral tones, statement art pieces, transparent light installations and a larger meeting table that commands focus and promises professionalism and results. This was a great space for holding larger staff meetings and anchoring company morale. 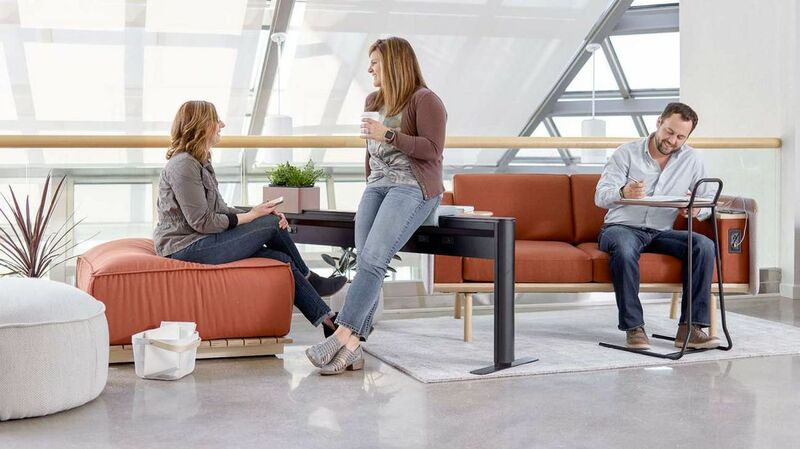 For more case studies and inspiration on how to update your modern office with furniture that fits your company culture and employee needs, check out this showcase.